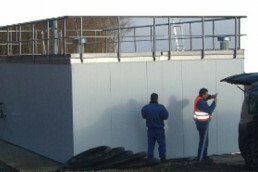 A biofilter cleans the air by biological activity. The air is passes through a filtermaterial which is biologically active. The air and pollution are absorbed in the filtermass, and bacterias and microorganisms break down the substances and make sure that the filter can absorb odor and pollution continuously. The filtermass is kept moist, and the pH value is regulated to make sure there are enough nutrients. Biofilters are suitable when there are low concentrations and the airflow is small or medium. 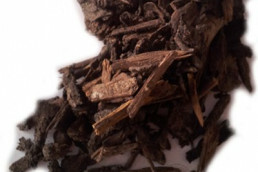 It is specified as BAT (best available technique) in most sectors that has odor issues. 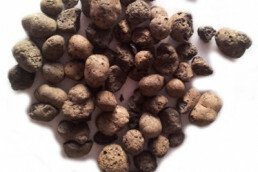 Since the filters are biologically active, the process should be run continuously. The conditions should be warm and moist however the temperature must not exceed 40 degrees Celsius. Biofilters are used in a number of different industries. The construction is simple, and in most cases adapted to each process. Here are some of the most ordinary applications. Biofilters are very suitable in odor reduction when producing feed. A very high efficiency is achieved. The air is often warm, and with the right pre-conditioning, optimal conditions can be achieved in the filter. A removal rate of up to 95-98% with minimum amount of energy consumption is guaranteed. Odor from wastewater treatment and pumping stations consists of substances, which are effectively cleansed in a biofilter. Temperatures are not often so high, but there are continuous operation and stable conditions throughout the year. These conditions are very suitable for biofilter. Biofilters are very common in cleaning odor from composting plants. By composting waste from food, a number of smells with low odor threshold are formed. 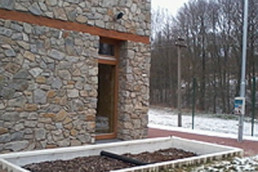 The biofilter proves high efficiency and has many applications at composting plants. Exhaust from food production is often warm and moist and therefore very suitable for biological odor cleansing. Biofilter is specified as BAT in this sector. Exhaust from biogas contains H2S which a biofilter can clean this effectively. The filter can be designed for applications in atex/ex zones. 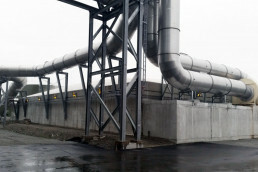 Waste facilities often gives their neighbours problems with odor. A biofilter is well suited for removing odor from waste, sorting, reception, storage and composting. In most waste facilities there are enough space to install a filter, and the airflow often has the right quantity. The choice of construction depends on the size of the filter. Small filters can be delivered as containers in PP for excavation, or in combination of PP/Steel to place over ground. Large filters have to be built on-site, normally in concrete. Små filtre i PP plast kan leveres klare til nedgraving. Det gir rask installasjon og et pent resultat. Larger filters are normally produced in combination of PP/Steel with insulation. These filters are traditionally placed over ground. The filters can be shaped in modules for easy transportation. Larger filters are built on-site. The construction is in concrete. A well-functioning biofilter demands management, control, good air-distribution and the right filtermass. We deliver all you need for a good filter with a high efficiency. Bark and chips are amongst the most used materials in the organic biofiltermass. We mix together durable masses with the right composition and low pressure drop. Inorganic filtermass has a long durability, and the pressure drop does not change during the lifespan of the filtermass. We deliver masses based on lightweight extruded clay particles (LECA). To achieve a high efficiency, you have to have an effective air distribution. 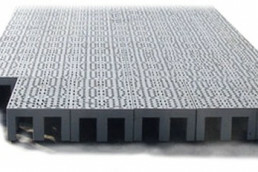 We deliver self-supporting grating covers for good air distribution. These can be designed for heavy loads, to handle smaller automobile machines.